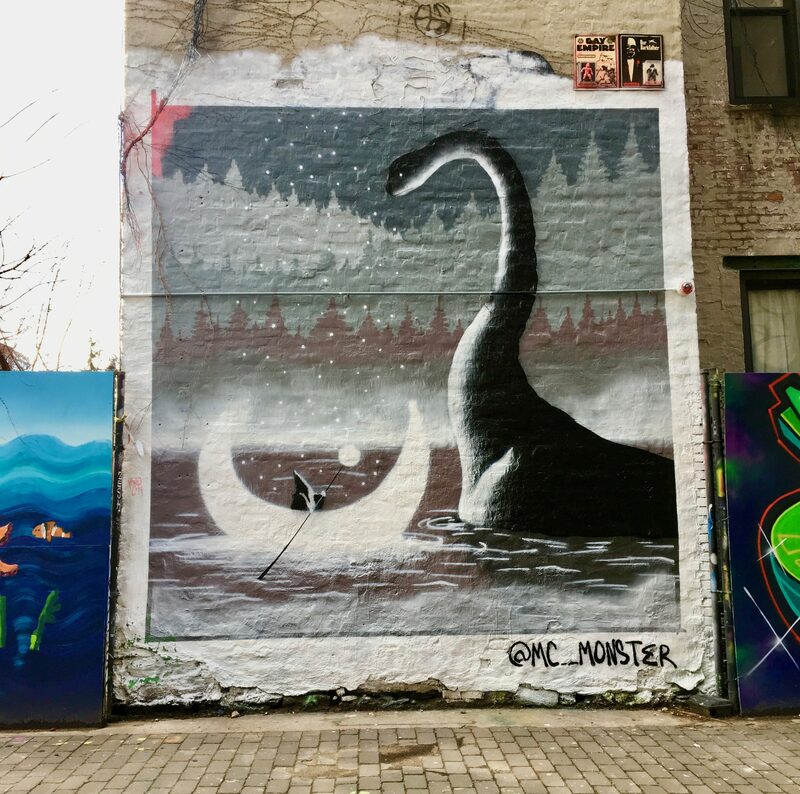 Portland-based street artist MC Monster travelled all the way to NYC to put up this epic fantasy mural depicting the mysterious yet peaceful confrontation between a Wizard in a Moon-shaped boat and what is either a Dinosaur, or the Loch Ness Monster. To say that this tranquil scene encourages imaginative extrapolation is an understatement. The mural went up in November of 2018 at the First Street Green Art Park (located at 33 East 1st Street, NYC), and those murals tend to change every three or four months, so don’t wait too long to go check it out! Update: As of Match 16, 2019 this mural has been painted over.